Organic molecular beam deposition (OMBD) research. 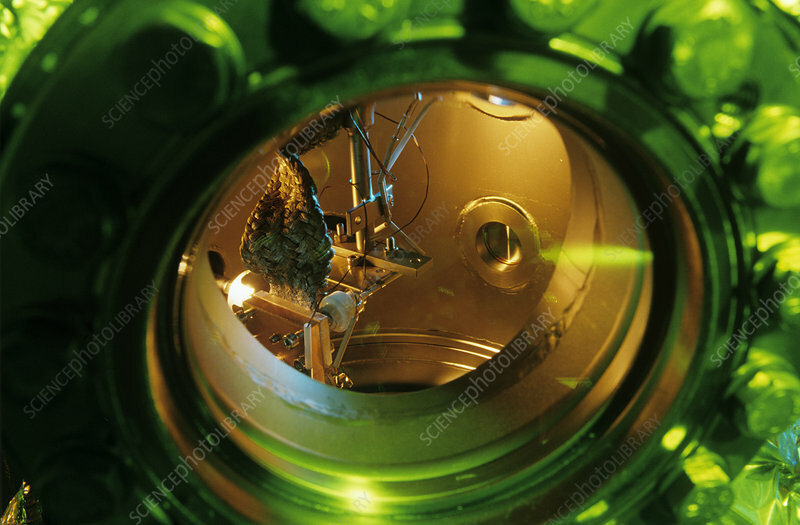 Deposition chamber of an apparatus used to make thin films of organic materials. These films have a range of applications, from light-emitting properties that could be used in display screens, to semiconductor properties that could be used in electronics. Also known as molecular beam epitaxy (MBE), the desired materials are heated and slowly evaporated in a vacuum, and deposited molecule by molecule on to a substrate, building up a thin film with the right properties and composition. Organic materials can provide a wider range of properties than inorganic materials. This apparatus is used by the Italian scientist Roberto Zamboni.